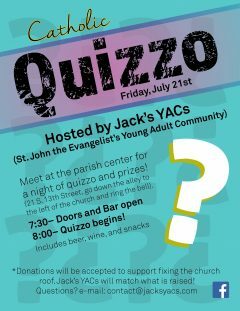 Join the St. John’s Young Adult Community, commonly known as Jack’s YAC for a night filled with trivia… with a Catholic twist. Proceeds from the event will go towards the church’s roof repairs. NEXT: Walk for Life coming to center city Phila.